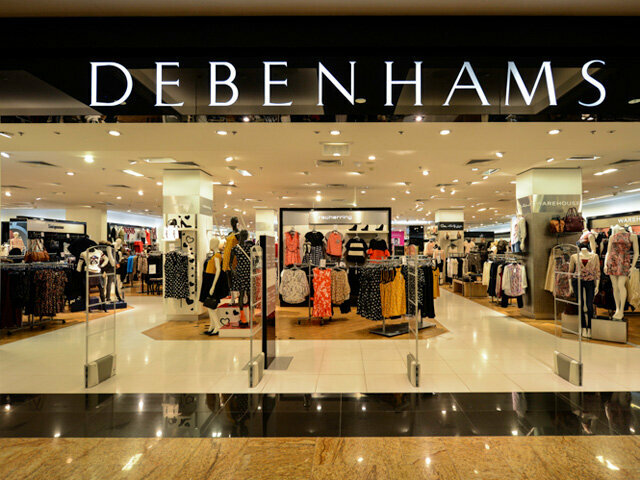 Update 25th October 2018: Debenhams has unveiled plans to axe up to 50 high street shops, putting around 4,000 jobs at risk, as profits plunged at the struggling department store chain. I have just read this article about Debenhams chief executive considering closing 10 of their stores. First of all, let us hope that this does not happen and that nobody looses their job but more importantly how does the Hereford store stack up against the other 176? The department store chain, whose shares have fallen a third over the last year, said more investment is required to improve its mobile systems, supply chain and store estate. It is consulting on the closure of the DHL-run Lodge Farm distribution centre in Northamptonshire, which employs 220 staff and would close in two years' time. The plans were revealed alongside half-year results showing a 6.4% fall in pre-tax profits to Â£87.8m, though UK like-for-like sales rose 0.5%. Mr Bucher, a former Amazon executive who took over in October, said the overhaul would see the stores potentially closed over the next five years. As part of his 'Fix the Basics' plan, around 2,000 staff will also be moved to customer-facing roles. The group will also axe some in-house brands and quit some of its international markets. Stores will be de-cluttered with a 10% reduction in stock options and stock will be replenished faster. Mr Bucher added: "If we deliver differentiated and distinctive brands, services and experiences both online and in stores, our customers will visit us more frequently. "And, having simplified our operations to make us more efficient, we will be able to serve them better and make better use of our resources." It is sad, but also, it is pretty much what a lot of people have suspected. Let's hope that Hereford is not one of them. Well I love the Old Market,and I shop in Debenhams and TK Maxx regular so it will be a sad day if they start closing some of the new stores. Personally, I think the Old Market has brought additional people into the city with all the new shops and restaurants since it opened. The largest department store at the Old Market Shopping Centre in Hereford could face closure over the next 3-5 years. Let's hope that our store in Hereford remains open. In October 2015 the Government announced its intention to enable local government as a sector to retain all business rates raised locally. A Local Government Finance Bill was introduced in Parliament in January 2017 to provide enabling legislation for the reforms and the LGA provided briefing and information to MPs throughout the Bill process. The Bill did not complete its legislative stages before the 2017 general election and was subsequently not reintroduced. DCLG are considering ways in which the Government's manifesto commitment to give local government greater control over their income can be taken forward. If businesses keep closing down Herefordshire Council won't be getting any benefit from this scheme.